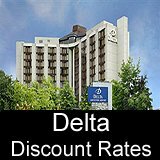 Cheap Flights From Los Angeles to Vancouver on Air Canada, Alaska and United Airlines. 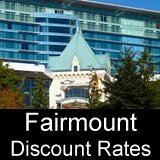 Flights from Los Angeles to Vancouver Canada, Deals and Online Booking. Flying from Los Angeles near the Sierra Nevada Mountains to Vancouver! One of the most popular flights up the west coast of North America is Los Angeles to Vancouver. This page will give you a good idea of what to expect on the flight as well as tips on LAX-YVR airfare deals. Airlines That Fly from Los Angeles to Vancouver: Air Canada (AC) currently has 4 flights per day from LAX to YVR. Alaska Airlines (AS) has 5 flights per day, and United Airlines (UA) flys twice a day from LAX to YVR via it's commuter partner Skywest (United code-shares flights with Air Canada, it's Star Alliance partner). LAX – YVR Flight Time: Flying time from Los Angeles to Vancouver is about 2hrs 50 minutes. Cheapest Air Canada Los Angeles-Vancouver Flights: Seat sales on AC Tango fares start at around $260 USD round-trip, economy class/coach fare. United Airlines Los Angeles-Vancouver BC Cheap Tickets: Lowest economy airfare around $350 USD for return non-stop flight. Alaska Airlines Bargain Fares from Los Angeles to Vancouver: Approximately $300 USD roundtrip. 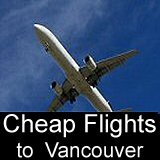 Best Time to Find the Cheapest Airfares from Los Angeles to Vancouver: The lowest fares can usually be found during the summer months from May to October. Business/executive class LAX – YVR fares: around $790 USD return. One-way flights Los Angels to Vancouver: price is about $130 USD. On a clear day, after departing LAX in Southern California, you’ll enjoy views of the Sierra Nevada Mountains. You’ll fly over Northern California and Oregon, possibly with excellent views of Mt. Shasta. Over Washington State, there’s Mt. St. Helens, and a chance of great panoramas of Seattle and the city of Vancouver, BC. In-flight meals LAX-YVR: AC, AS and UA Economy/Coach Class: since it’s a shorter flight, snacks only (Pack a sandwich if you get hungry). Air Canada Executive Class: Usually a hot meal plus drinks. Movies: in-flight entertainment can include 1 movie or various TV programs and short films.